It is going to get cold. Let me rephrase that, it is going to get VERY cold in southern and eastern Colorado starting in less than 24 hours. As of last night's forecast, temperatures were forecast to stay at or below freezing Wednesday through late Monday morning for Colorado Springs and Pueblo. New data this morning is suggesting temperatures could stay at or below freezing all the way through December 18. Brrr! 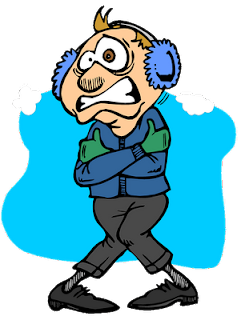 The prolonged period of temperatures at or below freezing got me wondering how common is prolonged periods of cold temperatures for Colorado Springs and Pueblo. Just looking back over the last five years of data for Colorado Springs shows that only six times has the temperature stayed at or below freezing for four consecutive days or more. With the help of some of the meteorologists at the National Weather Service office in Pueblo I was able to get historical perspective. Below are the records and Top 5 number of days below freezing (31° or less). Special thanks to the National Weather Service Pueblo office for helping dig up the stats.